Dr. Jeff Hetman received a Bachelor of Science degree in Biology from Heidelberg College in 1979. At Heidelberg he was a varsity football letterman and also a member of Excelsior Men’s Society. He received his Doctor of Podiatric Medicine from the Temple University School of Podiatric Medicine in 1992. Dr. Hetman obtained his post graduate training in reconstructive rearfoot and ankle surgery at the Harris County Podiatric Surgical Residency in Houston, Texas, graduating in 1994. He entered private practice in 1994 and is currently practicing in Houston, Texas. Dr. Hetman is a past Vice President for the Texas Podiatric Medical Association as well as former Chairman of the Continuing Medical Education Committee for the TPMA. He has served as an oral examiner for the Texas State Board of Medical Examiners. 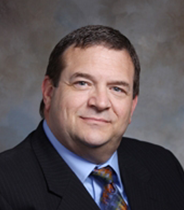 Dr. Hetman is a former Chairman of the Department of Surgery for Oak Bend Hospital in Richmond, Texas. He was appointed to the West Houston Medical Center Residency Executive Committee in 1995 and serves the program as Human Resources Director, Safety Officer and Chairman of the Resident Selection Committee for GTEF. Dr. Hetman resides in Houston with his wife Rhonda and their children Zoe and Jake. He enjoys golf, traveling, music and art.